Prepare yourself to help clients with questions about foreclosures and short sales by taking Marki Lemons-Ryhal’s class at the IAR Fall Conference & Expo in Chicago. Titled “Legal Issues: Short Sales 2014 & Beyond,” the class runs from 2 to 5 p.m., Friday, Sept. 5 at McCormick Place. 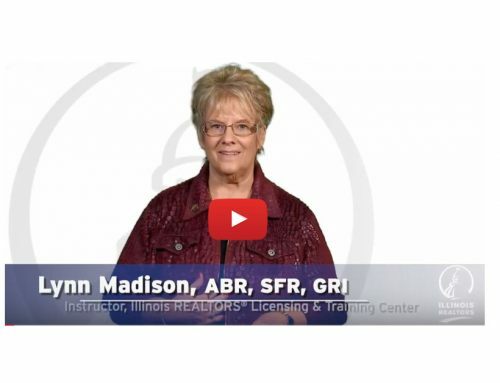 Lemons-Ryhal developed the curriculum for the class to satisfy Core B requirements and to help REALTORS® use technology to stay abreast of the changing rules and regulations regarding foreclosures and short sales. She’ll also talk about past extensions of the Debt Release Act of 2007 and encourage participants to ask questions. A licensed instructor since 2006, Lemons-Ryhal is known for her enthusiasm, her personality and her ability to engage students. She has trained more than 30,000 students and in 2010 was selected Illinois Real Estate Educator of the Year. Lemons-Ryhal teaches social media marketing and technology classes for the National Association of REALTORS®, Prudential, Keller Williams, CHASE and REALOGY. She has more than 20 years of marketing experience, and is a third generation restaurateur and a fifth generation entrepreneur. She is also sought after for her speaking and coaching abilities. Check out her Facebook page and follow her on Twitter @MarkiLemons.